The material contained on this Internet site constitutes Commonwealth copyright and is intended for your general use and information. You may download, display, print and reproduce this material in unaltered form only (retaining this notice) for your personal, non-commercial use or use within your organisation. Apart from any use as permitted under the Copyright Act, all rights are reserved. 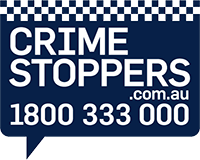 For website problems, feedback or to request copyright authorisation for material on this site, please contact ACT Policing's Online Publishing Team.